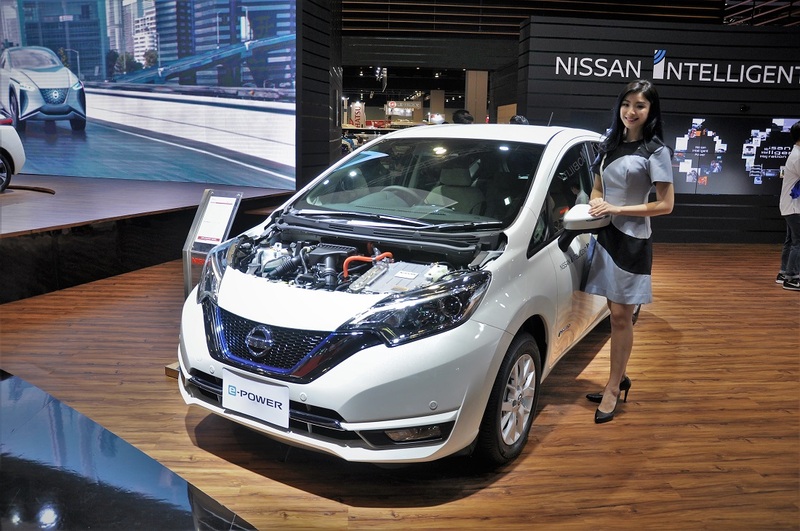 Edaran Tan Chong Motor (ETCM), the official distributor of Nissan vehicles in Malaysia, is showing off the Nissan Intelligent Mobility range at KLIM ’18 (Kuala Lumpur International Motor Show), happening now at the Malaysia International Trade And Exhibition Centre (MITEC) in KL, until 2 December 2018. 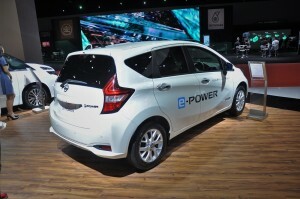 Intelligent Power is about reducing emissions and increasing fuel economy without compromising on performance. This is done via a holistic approach of achieving zero-emission mobility by making internal combustion engines more efficient and putting more advanced technologies into the vehicles, whether it be the fully electric system, e-Power system or the S-Hybrid system. 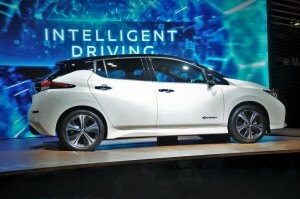 Intelligent Driving aims to provide a more stress-free driving experience with enhanced safety, control and comfort. 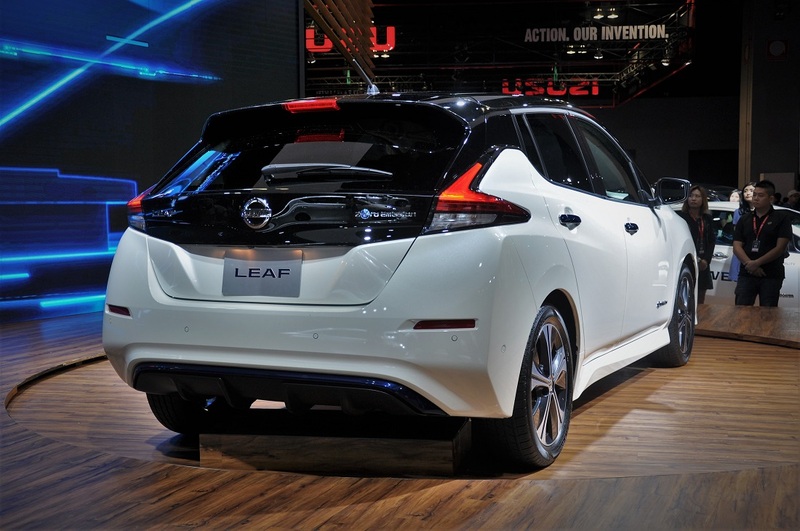 The ProPilot, e-Pedal, Intelligent Forward Collision Warning, Intelligent Trace Control, and Intelligent Cruise Control are some of the features that fall into this category. 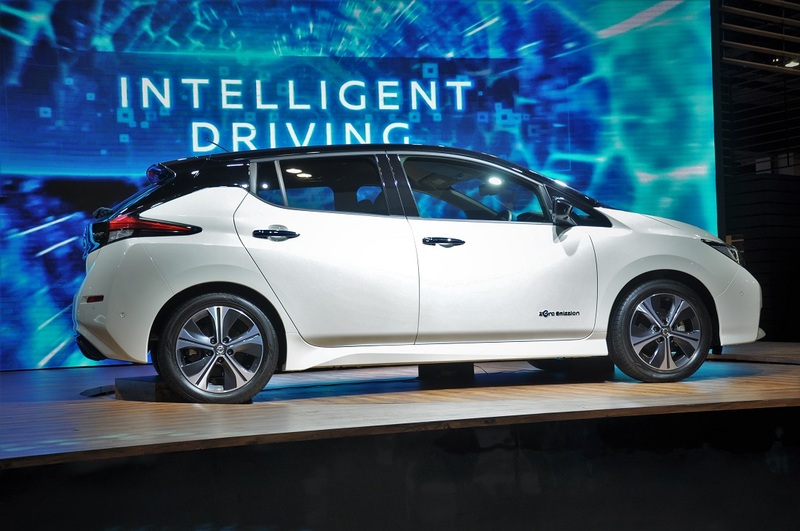 Intelligent Integration is about connecting vehicles with the society-at-large, including infrastructure, to aid the driver. 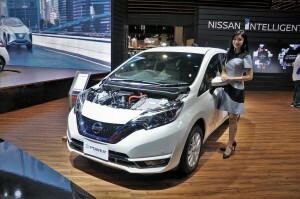 This can include remote operation of vehicle, energy management and car-sharing, which could lead to reduced traffic congestion. One of the core products in Nissan’s Intelligent Mobility showcase is the fully electric Nissan Leaf, the world’s best-selling EV. 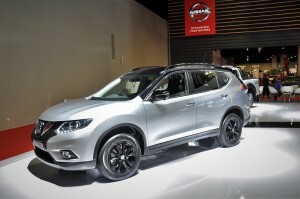 Since its launch in 2010, over 350,000 units have been sold globally. 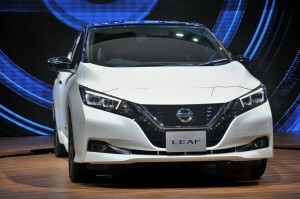 The new Nissan Leaf on display sports a new advanced e-powertrain with a 40 kW Li-ion battery pack that is capable of a 400 km range (based on Japan JC08 cycle) on a single charge. 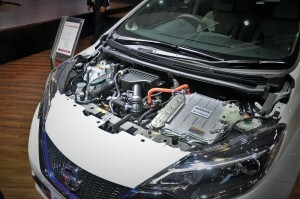 The car has a power output of 110 kW and 320 Nm of torque. The Leaf features the ProPilot autonomous driving technology and the e-Pedal which allows the driver to accelerate, decelerate, stop and hold the car’s position using only the accelerator pedal. 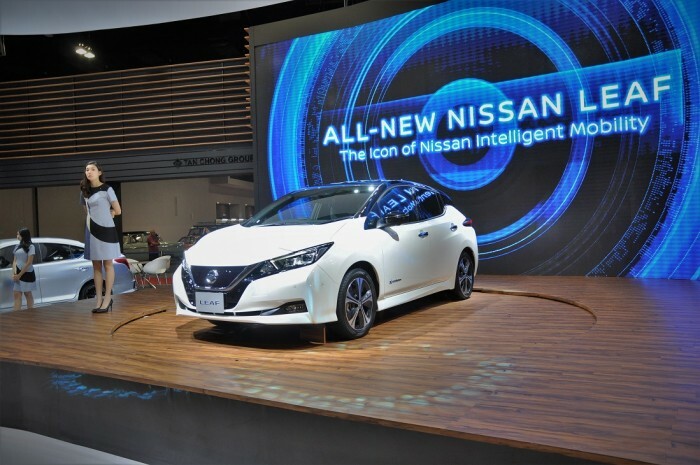 “Nissan Intelligent Mobility is more than Nissan’s approach to changing the way cars are driven, powered and integrated into society. 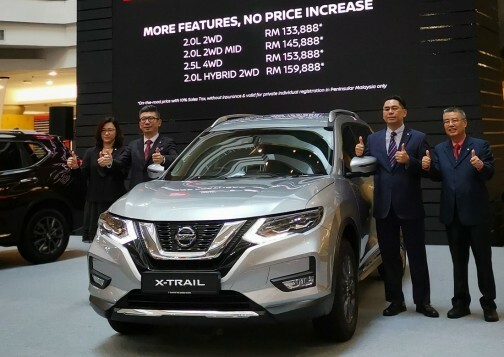 It is Nissan’s corporate strategy that embodies the Nissan brand, and Tan Chong Group is making big investments towards a more connected, safer, environmentally-friendly and electrified mobility future for Malaysia,” said Christopher Tan, Sales and Marketing Director of ETCM. 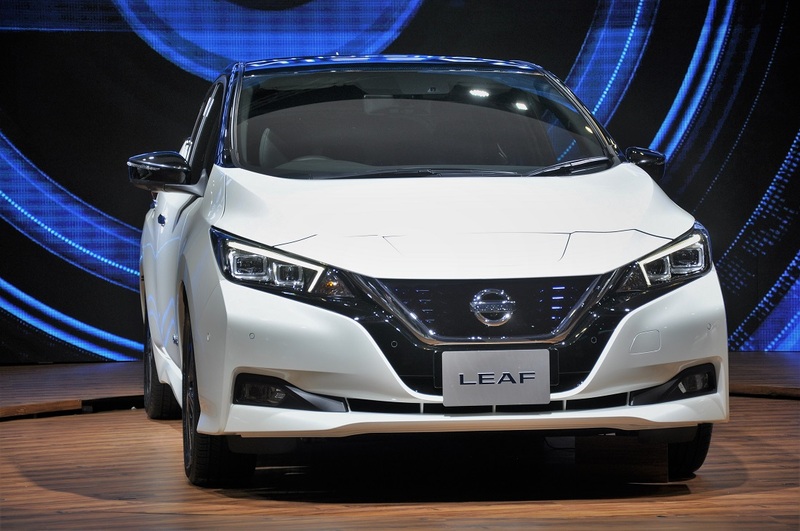 With a growing charging network for electric vehicles, the Nissan Leaf makes more sense to those who don’t care to add more exhaust fumes to the city, especially with the improved battery range over the previous model. 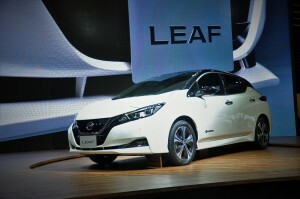 For those who are interested, word is ETCM wants to bring the Leaf to Malaysia next year. 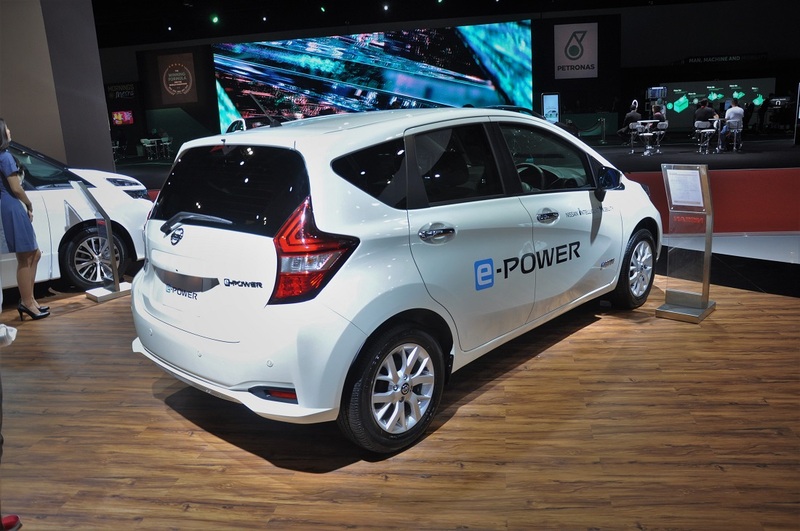 Other than the Leaf, ETCM is also showcasing the e-Power system, Nissan Serena S-Hybrid, Navara Black Series, X-Trail X-Tremer, and the new Almera Black Series at KLIMS, Level 2 MITEC.